We are truly blessed here on Gower – our award-winning landscapes and monuments seem to remain a well-guarded secret. Despite the easy three-hour train journey from London (or the relatively straightforward cruise along the M4), even at the height of summer our tourist numbers are modest. And that means, with a little planning, it’s still possible to have these magical places all to yourself. Can you imagine standing on the peninsula’s backbone, gazing down from Cefn Bryn – the backbone of Gower – to see both coasts, and not another human being in sight? Or being the first person to dip your surfboard in the dazzling waves at Rhossili, regularly voted the UK’s best beach? Or sipping an ice-cold beer as you watch the sun set over Three Cliffs Bay in glorious isolation. Having such travel treasures to ourselves is a rare treat – but still a reality here in the undiscovered tentacles of wild West Wales. And that’s Gower’s better-known South Coast. Venture North, away from the peninsula’s headline acts, and you’ll find a truly peaceful haven for both man and beast. 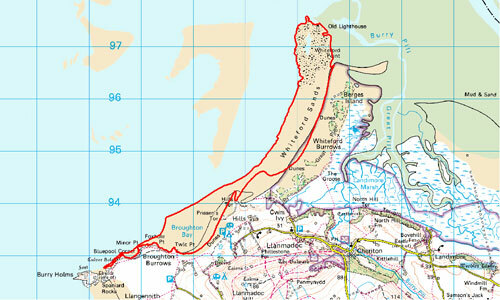 The coastline of North Gower traces the Burry Estuary back inland as rolling sand dunes give way to virgin saltmarsh. These salty mudflats and tidal ditches provide a unique habitat for both plant and bird life – both sides of the estuary provide an internationally important feeding ground for wading birds and wildfowl (in fact, on a clear day you can wave across the water at Llanelli WWT Wetlands Centre). They also provide grazing for Gower’s famous Saltmarsh lamb, who’s meat is naturally infused with the Samphire, Sorrel, Sea Lavender and Thrift that grows in this unique environment. For me, the crown of the North Gower coastline is the golden finger of sand that stretches up from the westerly tip of the peninsula. 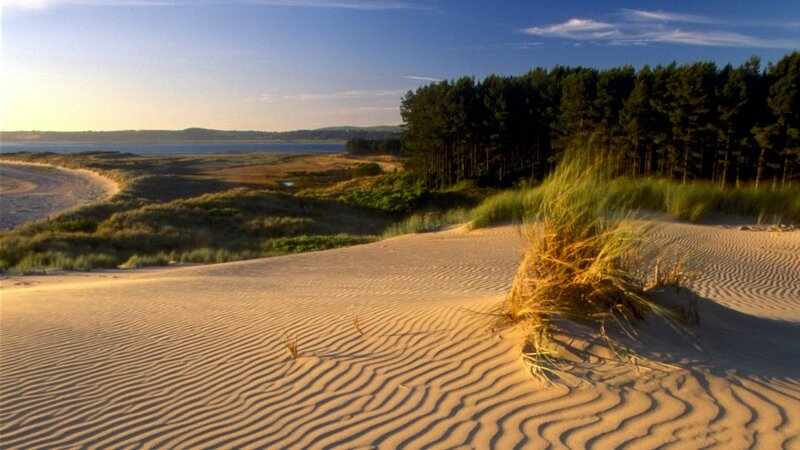 Now under the custodianship of the National Trust and protected with National Nature Reserve status, the forested sand spit of Whiteford Sands makes an excellent circular day hike – and most days you’ll have the whole thing to yourself. Oh, and its magnificently beautiful too. As you approach from Llanmadoc, marshland stretches to the horizon on your right, perforated only by Cwm Ivy – a 400-year old sea defense wall. Descend across farm and scrubland, past the NT’s Cwm Ivy Lodge Bunkhouse (a secluded spot hidden in woodlands, which you can rent for overnight stays – sleeps 10) to explore the lumpy lunar landscapes of Whiteford Burrows and woodlands. Beyond the trees lie pristine golden sands, peppered only with sun-bleached ropes, the occasional piece of driftwood and the brooding hulk of Whiteford Lighthouse – the last remaining wave-washed cast-iron lighthouse in Britain. 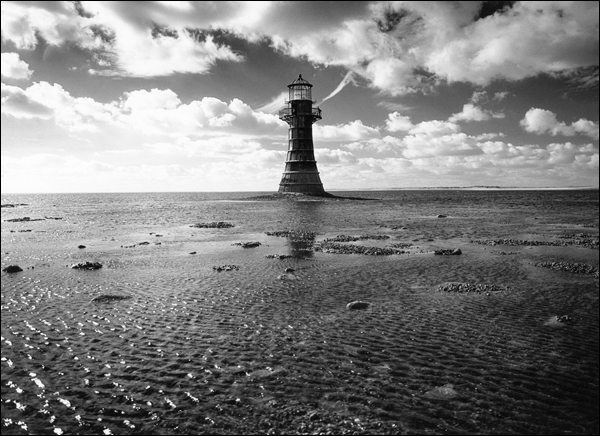 Listed by Cadw, the Welsh Government’s historic environment service, this Scheduled Ancient Monument is an important work of Victorian architecture, and also a photographers dream – the arduous scramble over muscle beds (only possible at low tide) rewards you with the delightfully mottled reds, greens, golds and purples of this rusting salty giant of the sea. Small shop and tea-room in Llanmadoc, plus pub/restaurant The Britannia Inn serving excellent local food – well worth a visit.